Charles Darwin was born in England on February 12, 1809—the same day as Abraham Lincoln. The son of a wealthy doctor, Darwin studied for a career in medicine, but he changed his mind after witnessing several operations performed without anesthesia. Darwin then planned to become a minister, but he was drawn to studying nature. At the age of 22, Darwin decided, against his family’s wishes, to travel as an unpaid “naturalist” on a two-year voyage aboard the HMS Beagle. 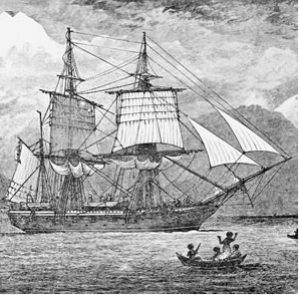 The Beagle set sail on December 27, 1831 to study the west coast of South America and several Pacific islands. Darwin’s job was to study the geology and biology of the lands. During the course of the voyage, Darwin observed an enormous number of plant and animal species and discovered many fossils. The budding naturalist took careful notes on everything he observed. Those notes later provided the basis of his theories. Darwin returned home in 1836 and developed a reputation as one of England’s leading biologists. Darwin concluded that species evolved over long periods of time. There may be differences in the offspring of an organism. These differences are called mutations. We generally think of mutations as harmful, such as birth defects, but a mutation is simply an alteration of the genetic information of an organism. Some mutations are good. A child might be stronger or more talented than his or her parents. Darwin’s theory suggested that organisms evolved to fit their environment based on natural selection. If a mutation was good, the organism lived and contributed its mutation to the gene pool of its offspring. If the mutation was bad, the organism was more likely to die before contributing to the gene pool. Over billions of years, these mutations slowly produced the world we know today. According to the theory of evolution, organisms have adapted to their environment. Lizards are green because if they were any other color they could be easily spotted and eaten. If bigger animals were around, a purple dinosaur would have a tough time staying alive in a green forest. 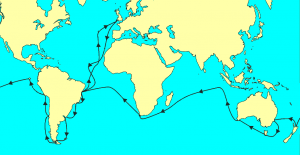 The Route of the HMS Beagle. 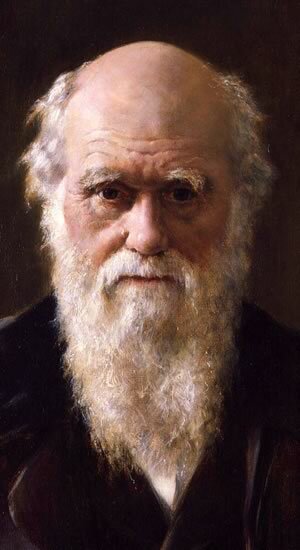 Charles Darwin, (1809 – 1882) was an English naturalist. Darwin established that all species of life have descended over time from common ancestors. Charles Darwin joined the fourteen-year-old HMS Beagle for her second voyage in 1831. This illustration is from the 1890 edition of Darwin’s book about his travels. 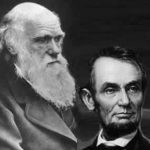 Two of the most influential people in history, Charles Darwin and Abraham Lincoln, were born on the same day: February 12, 1809.